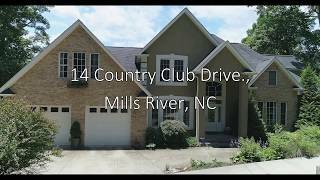 Lovely home sitting by the pond in Mills River Village. House needs some work but offered at "As Is" pricing. Great potential for this home at this price point. Directions: Hwy 191 just south on from Hwy 280 to Mills River Village. Once entered into Mills River Village take second right onto Kingfisher Lane to home on left.